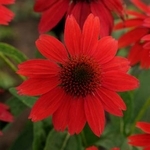 Echinacea 'Sombrero Salsa Red'. 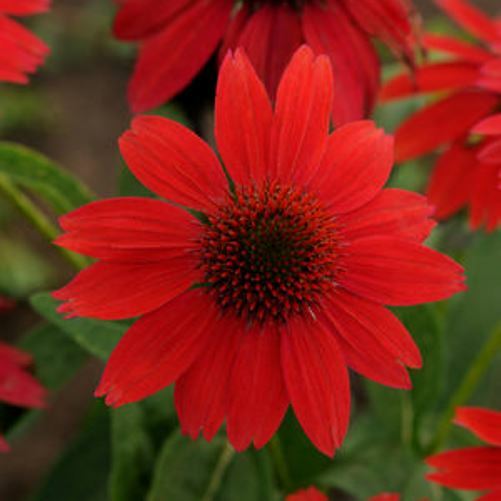 This newer compact red coneflower fills the need for a mid-sized red. Superior performance with a long bloom season. PP#23105. ♦ Shorter than 'Tomato Soup'. ♦ Shorter than 'Hot Lava'. ♦ Petals more horizontal than 'Firebird'.